Daniel is a multi award winning filmmaker who through the early exploration of identity, found his reality through the lenses of contrast. Since then he's found success in the many genres he's crossed. Since then, Daniel's short films have done well on the festival circuit, earning recognition that includes many regional screenings throughout the U.S. along with a premiere at the Slamdance Film Festival. Daniel finished the festival circuit in 2011 showcasing LALO, which picked up the award for BEST SHORT FILM at the HBO/NY Latino International Film Festival (2009) and went on to be nationally broadcast on the SiTV/Nuvo Tv cable network. Currently Daniel is showcasing his experimental works in galleries & museums abroad. He's also back on the festival circuit with his first narrative feature, titled, H.O.M.E. starring Imagen winner, Jeremy Ray Valdez, Broadway’s Angela Lin & the extraordinary Ariel winning actor, Jesús Ochoa. Since its premiere in the Spring of 2016 at the Museum Of Moving Image in NYC, H.O.M.E. has been well received with much press & multiple festival awards. Darren Dean is an award-winning writer-director-producer who, along with frequent collaborator Sean Baker, was nominated for the John Cassavetes Independent Spirit Award in 2009 for co-writing and producing indie darling PRINCE OF BROADWAY. His follow-up as producer, 2011's celebrated international co-production KINYARWANDA yielded the World Audience Award at Sundance, as well as earning him an NAACP Image Award nomination. He reunited with Director Baker in 2014 to produce the groundbreaking film, TANGERINE, which was nominated for a GLAAD Media Award and landed 4 Independent Spirit Awards nominations in 2016, including Best Picture. He's also produced music videos and shorts, including Suha Araj's Award-Winning PIONEER HIGH. His most recent producing effort, H.O.M.E. will arrive on the festival circuit in 2016. Dean's body of work has been recognized with a 2016 nomination for the Piaget Producer's Award at the Independent Spirit Awards. Currently, he continues to develop several projects for both the big and small screen, including Will Eisner's legendary graphic novel A Contract with God. Dean is also an educator at New York Film Academy. Vanessa is an Actor, Writer, Singer, Director, Producer and Attorney who combines all skill sets to work solely on projects that she loves. The projects that appeal most to her are those that speak in favor of the underdog and shed light on issues affecting them. A graduate of the American Academy of Dramatic Arts and Seton Hall University School of Law, Vanessa is one of the Producers of H.O.M.E. She is also the Executive Producer for the seriocomedy web series Justice Woman, which she created and wrote, and is finalizing the screenplay for the comedy feature film The Implications of Cohabitation, which will go into pre-production in 2013. Vanessa got into filmmaking as a result of acting and writing. Having appeared in numerous stage productions throughout New York City, Vanessa decided to give film acting a chance and discovered that she loved it just as much as theater. Her appeal for filmmaking evolved when she co-wrote the award-winning short film Danny First, based on the story of her relationship with her brother Tony, who is autistic. It was then that she realized the power of filmmaking. As an actor, Vanessa is a firm believer that she is a vessel holding emotions for the audience to experience and she strives to never deprive her audience of any experience. Thus, filmmaking was a no brainer for her since she saw it as an opportunity to move and inspire a much wider audience. Having traveled and lived abroad, Vanessa brings a culturally rich perspective to her projects, a perspective she can easily translate into English, Spanish, Italian and/or French, all languages she speaks. Described by her peers as “a compassionate fighter with captivating strength and sassy humor”, Vanessa aspires to awaken our inner warriors through the art of filmmaking. Ingrid is a New York-based multilingual Producer working in Production Management at the Apollo Theater Foundation, Inc. Since 2003, she has worked on the physical production of live events, theatrical productions, and television tapings such as Dream Girls the musical (2009), Elvis Costello’s Spectacle (Sundance Channel), the Apollo Theater’s Annual Spring Benefit Gala, and Showtime at the Apollo (Tristar Pictures). Before joining the Apollo Theater Foundation, she interned at companies such as, Cowboy Pictures, Castle Hill Productions, the French Film Office/Unifrance, and the Southern Screen Commission in the . She is the current Vice President of the NY chapter of the National Association of Latin Independent Producers (NALIP) and a member of the National Academy of Television Women in Film & Television (NYWIFT). Ingrid produced her first short The Inspiragenesis, directed by fellow NALIP member William D. Caballero in July 2009 and is excited to be working with another NALIP member Director/ Writer Daniel Maldonado on her first feature film H.O.M.E.Ingrid received her B.A. in French from Columbia University and M.A. in Media Studies from the University of Sussex. A world traveler, she has visited 78 cities on five continents and speaks four languages: English, Spanish, French and Italian. Ezra is a narrative film writer/director based in New York, L.A. and Athens who focuses on social issues and human inter-connectivity (Death and Beauty, Shadowglade). He is currently working on several feature film projects for production and distribution. 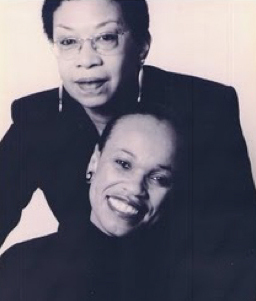 Maria E. Nelson and Ellyn Long Marshall met 25 years ago over the phone. Marshall was working in casting for New York’s Public Theater, Nelson was an agent, and the two hit it off during a business call. They started working together shortly thereafter. Over the years, their company, the Orpheus Group, has established itself as a major presence on the New York scene. The pair has worked with both respected theater companies (INTAR) and critically acclaimed independent film productions (“Girlfight,” “Real Women Have Curves,” “Amreeka”). Seeking to spread their wings, they formed a new company, Liberty Films, to produce indie features with multicultural themes. Their first production “Dona Blanca” is inspired by the same gentleman who inspired “Maria Full of Grace” (producer Orlando Tobon). 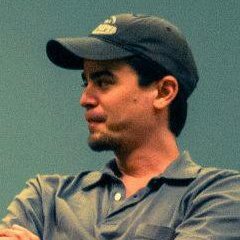 Mike Vernusky Salas creates music for film, video, and audiovisual performance, primarily using electronic sound. His music has been described as ‘brash’ by the New York Times, and ‘isolationist’ by The Wire Magazine. Vernusky's music has been heard around the globe including performances at Tribeca IFF, SXSW, Rotterdam IFF, Experimental Intermedia, Berlin Film Festival, FILE Festival Brazil, Rome Media Art Festival, Festival International de Música Experimental São Paulo, MATA NYC, and Marrakech Biennale. Boryana Alexandrova is a Bulgarian photographer and cinematographer based in New York. Her work is often about the in-between , slightly outside, and always moving. The blend of a European aesthetic and an American work ethic, Alexandrova’s cinematography is a diverse combination of ingredients. Having spent her formative years traveling and growing her eye in her father’s graphic art studio, she ventured to New York City in order to study Cinematography. After earning her degree, her style and skill set evolved through the practical training leading her to build a diverse body of experience in all areas of production, Since then, her work has aired on most major US networks and internationally. She is known for her collaborative, project centric approach and her unique vision. A firm believer in the distinctive nature of each project, she brings her background and eclectic exposure to cinema into carving out its hybrid yet cohesive style. She is currently embarking on her first large multi-media road project, which will keep her State-side and wide-eyed for the foreseeable future.